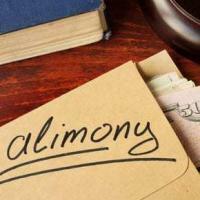 What to do if Former Spouse Refuses to Pay Alimony? Alimony typically gets a bad rap in the media and society, as financial support for those too lazy or entitled to take care of themselves. However, alimony is not easy to get, unless agreed to as part of a prenuptial agreement, and rarely lasts beyond a few years – just long enough for the recipient to find his/her financial footing. When this court-ordered support never comes or stops, the ex-spouse expecting this income will face a difficult situation. Enforcing any court-ordered obligation can prove daunting, and alimony is particularly challenging, as the payor often tries to argue he/she lacks the financial wherewithal to meet this requirement. Working with an experienced family law attorney to use all available legal remedies for collection is critical to achieving a just outcome, and the former wife of House candidate Terry Power is fighting this battle as she seeks to collect more than $87,000 in past due alimony, after Power refused to pay all but $100 toward alimony after the divorce was finalized. Some payors have legitimate issues that hinder compliance, such as medical issues and long-term unemployment, but others simply choose not to pay, and even try to hide money and other assets to justify their actions. Alimony is not optional, and a discussion of the options a former spouse has to force payment will follow below. Alimony awards are incorporated into the final divorce settlement, and as a result, become a part of the court’s divorce judgment. Being a part of the official order, any violation of the alimony plan is a direct violation of a court order, and potentially subjects the payor to a variety of punishment and enforcement methods at the court’s disposal. Judges have broad discretion to address the non-payment of alimony, including both civil and criminal measures to compel compliance. Because the non-payment of alimony is a violation of a standing court order, the payor faces the real possibility of being charged with contempt. Contempt may be handed down as a criminal or civil violation of the law. Criminal contempt is reserved for cases where evidence shows the payor had the ability to pay but intentionally chose to withhold payment. If convicted, the payor faces up to 180 days in jail, but payment of the alimony in arrears will clear the charge. Civil contempt applies to all other cases in which the non-compliance was not intentional, but still violated the court’s order. The non-paying party has the opportunity to demonstrate circumstances beyond his/her control prevented payment and/or that he/she lacks the current ability to satisfy this obligation. Jail time is not an option for civil contempt, but fines, interests, and an order to pay the former spouse’s attorney’s fees and costs are possible punishments. Getting access to the payor’s assets and other financial holdings is the most direct way to obtain payment, and the first step in that process is to secure a money judgment that outlines how much is overdue, and even tack on interest and attorney’s fees in some cases. Once this judgment is in hand, though, the recipient of alimony can impose a lien against real estate and other valuable personal property. In addition, the recipient can seek a writ for garnishment, which requires the payor’s employer to automatically withdraw the necessary amount, similar to income withholding for child support, and is a good option when the payor does not have significant assets to seize for a forced sale and liquidation. Getting the support that was an integral part of your divorce agreement is crucial to your financial wellbeing. If your former spouse is not paying this obligation, talk to the experienced attorneys at All Family Law Group, P.A. about your legal options. Do not let a large mountain of back payments accumulate, as this will be harder to collect. Take quick action and let our attorneys help you. Contact the Tampa divorce attorneys and family lawyers at All Family Law Group, P.A. in Tampa Bay for a consultation at no charge. They can be reached at 813-672-1900.